Note: This is a Pro feature. It is not available in the Free Individual plan. The Advanced Settings dialog allows you to extend Postwire to handle more usage scenarios. To access the Advanced Settings, click the Share button when editing the Postwire. Then click the Advanced Settings link in the lower left corner of the pop-up window. The default settings are as indicated below. Share Button - If you want to send the same Postwire with many different customers, you'll want to hide the share button so they cannot see one another. Or, if you have a Postwire with restricted access and you don't want anyone inviting anyone else, you should hide this. Re-Posts - It's not likely that you'd want to turn this off because it is the main way you share in Postwire. 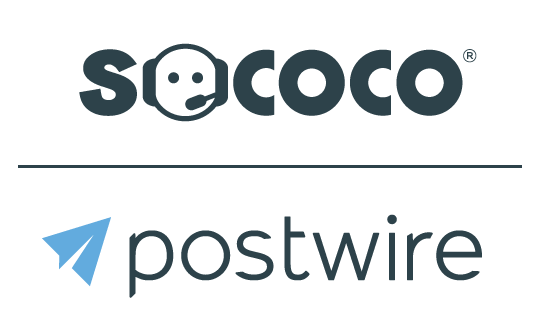 However, you may want to turn this off if you have highly sensitive or confidential content on the Postwire that you want to make sure isn't re-posted to another Postwire you're not aware of. Comments - Very similar to the reasons you'd want to turn off the Share Button. If the Postwire isn't being used 1:1, you're not going to want to see many different people commenting who don't know each other. Copy - This is most typically used by internal teams who are creating templates for their other teammates. The internal staff can create a perfect template and allow others to copy it as a starting point. Note: Since the default setting is ON (even for Organization Postwires), Admins will want to take care to turn OFF this setting for a master library Postwire so that the entire repository cannot be copied and shared on. Download - Turning ON this option will add a Download button that's visible when hovering over each content item, making it that much easier for employees and Partners who may not be active Postwire users to download content from a particular Postwire. NOTE: Turning OFF this setting does not prevent the downloading of content. As always, you can right-click on a PDF that you are viewing in a browser tab and save it to your local drive--as well as download documents from the Office Viewer. Even though the Download button will be displayed on all content items on a Postwire with this feature turned ON, only PDF, Word, Excel, PowerPoint and image files can be downloaded. An error message is shown if the user attempts to download any other file types (e.g. a video file or a web link). If the privacy setting is set to HIPAA, no Download buttons are shown (when hovering over a content item) -- even if the Download option in the advanced settings is set to ON. On the iPad and iPhone, no Download buttons are shown (when hovering over a content item) -- even if the Download option in the advanced settings is set to ON.